Many of us know lavender as being wonderful for relaxation and most often used as an essential oil. But it makes a lovely tea, and an even better lavender lemonade! 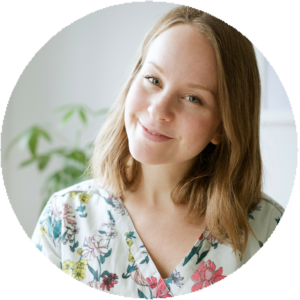 Herbal teas are one of my favourite things to drink in the cooler months, but even more in the spring and summer when I can make icy, refreshing versions that still contain all the medicinal goodness of them! 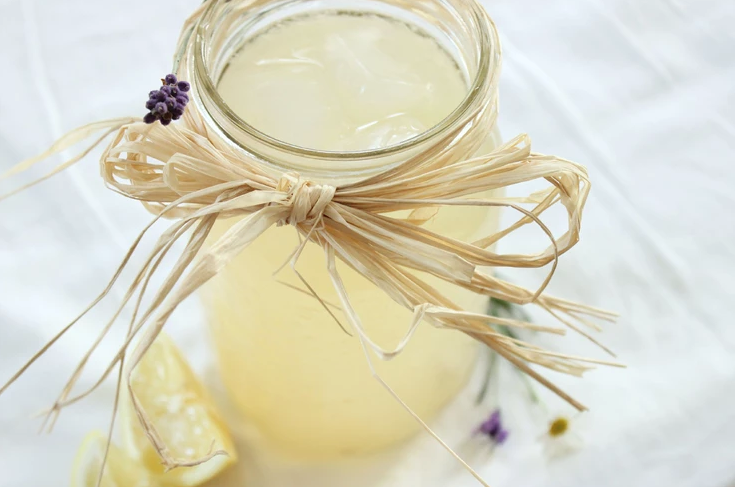 In light of the sunny afternoons I’ve been enjoying lately, I thought I would share my take on a summer classic with an herbal twist: lavender lemonade. Doesn’t it sound so beautiful? I just want to drink it all day! Lavender is best known for its calming properties and is often bought as an essential oil and used in aromatherapy blends, as well as a whole array of cosmetic uses. Lavender is edible though, too, and has many different culinary purposes. It’s excellent for promoting sleep or easing depression, especially in combination with other herbs such as skullcap. There are a few different varieties of lavender, but the two most commonly used for culinary purposes are lavandula augustofolia and officinalis, also sometimes known as true lavender. For this recipe, I’m using the augustofolia variation. 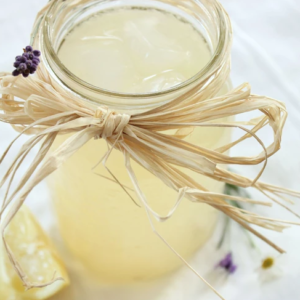 A beautifully refreshing and relaxing lemonade recipe. Add boiling water, honey and lavender teabag to bowl. Let steep for 10-20 minutes. Transfer steeped syrup mixture to container or pitcher of choice (I used a 1L glass mason jar). Add lemon juice and cold water and refrigerate for 1 hour. Serve with ice and enjoy! Store with lid in refrigerator. I hope you give this beautiful lemonade a try! Let me know if you do. Where do you get your lavender teabags from?